We are well into 2019, and we are looking forward to some exciting new construction projects this year. 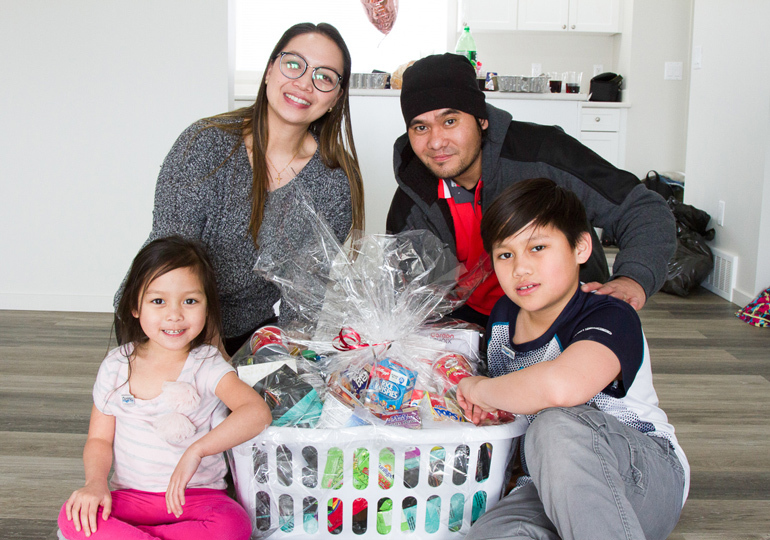 Already this year, 8 of families have moved into their new Habitat homes in Okotoks and Calgary. 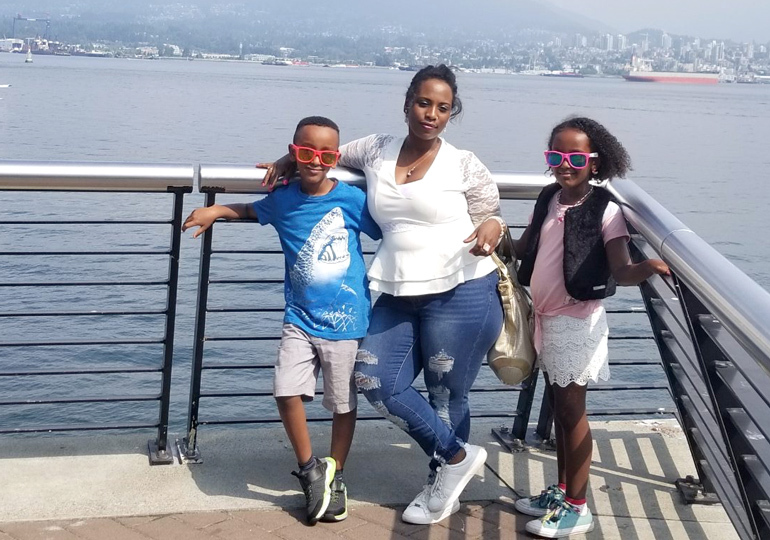 We are projecting at least 17 more families will take occupancy throughout the rest of 2019. With the completion of the final five-plex on Bowwood Drive, we are thrilled to say that we have added a total 20 affordable homes in Calgary’s northwest in the last two years. These five-plexes offer a unique design on three levels. Let’s take you on a tour to show you just how unique and beautiful these homes are. 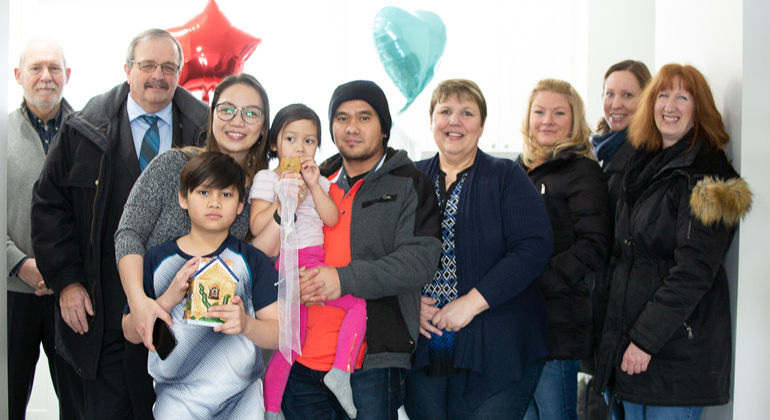 We are proud to share that in February we held a Home Dedication event to celebrate Avon and Romano and their children who moved into the duplex in Okotoks earlier this year. 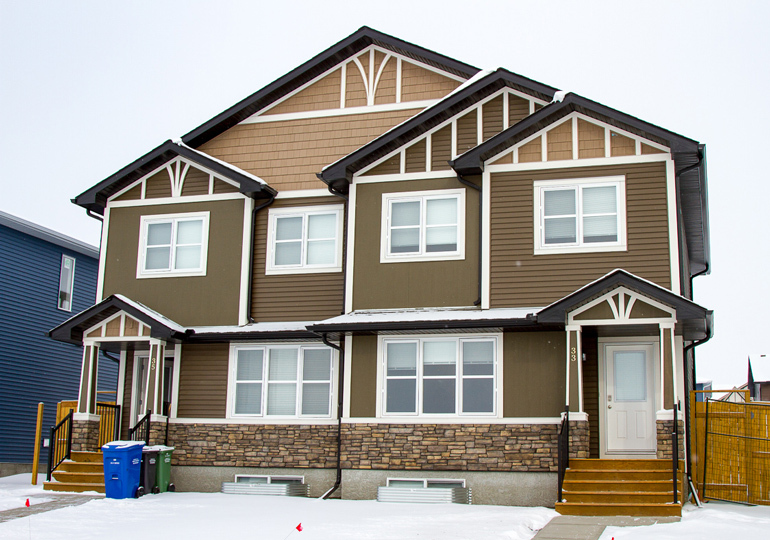 This stunning duplex fits seamlessly into the in the new development in Okotoks. 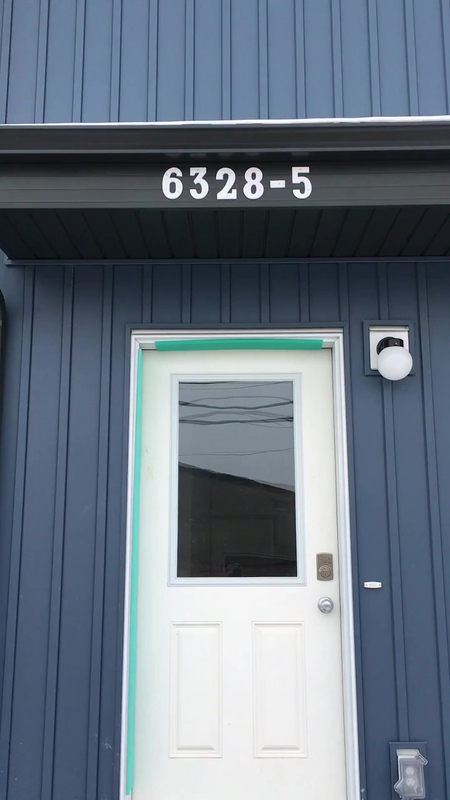 We want to thank all of the volunteers and donors who helped make this dream of home ownership come true. We can’t express enough how much we appreciate the support from the dedicated volunteer committee in the Foothills Region, as well as Anthem United, Morrison Homes, GM Electrical, Bold Electric and the Town of Okotoks. All of the I’s have dotted and the T’s have been crossed for the first duplex in Radisson Heights to break ground. This marks the beginning of four buildings being constructed over the next year-and-a-half that will be home to 12 new Habitat families. We will be having volunteers and Build Day groups on the site as early as May. Dustin and Trish are at the site to show you what it looks like before we are able to invite volunteers and groups to joins us. Much work has been completed on the acre of land that will eventually be home to 32 Habitat families in Silver Springs, although you might not think so by driving by the site. Soon the framing will begin, the site will be busy with volunteers, and Amsale will be able to start volunteering to build her own home. 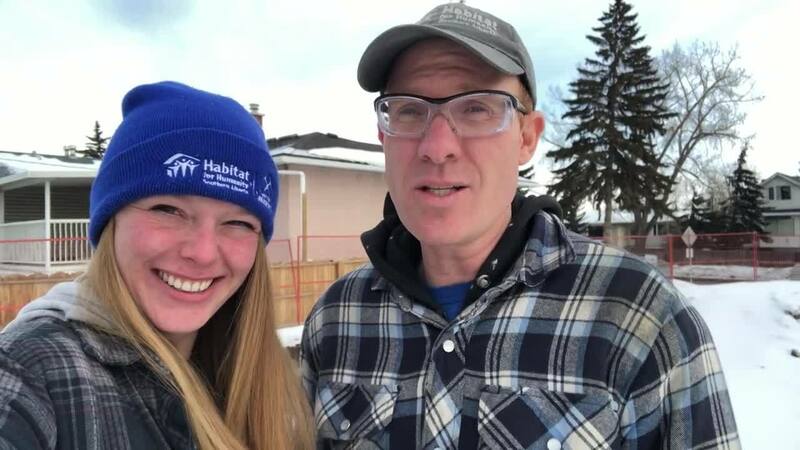 Amsale is a single of two who was recently approved for Habitat's affordable mortgage and will be one the first to move into one of these homes in Silver Springs. She will start to see her dreams come true. 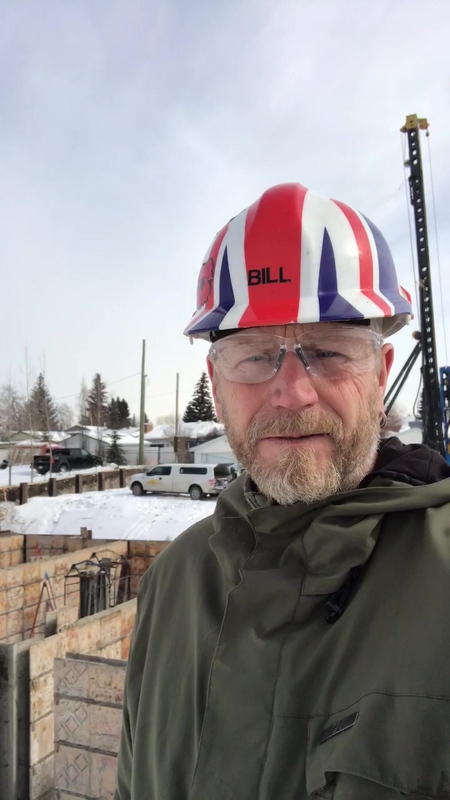 Bill, one of our site supervisors, wanted to show you what the site looks like as we begin our biggest project to date! 2019 is going to be another record-breaking year. We look forward sharing more updates with you as we make more dreams come true. This year we will approve more families than ever before for our affordable mortgage. Tell someone about these amazing homes. 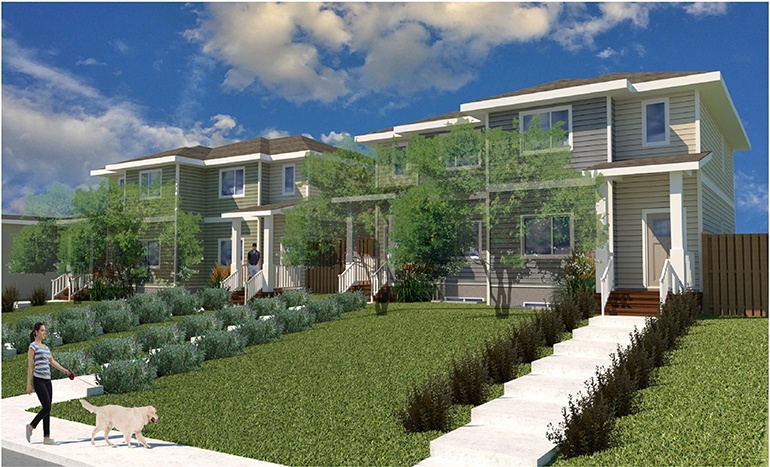 You could play a role in making a family’s dream of home ownership come true. You can also do a team Build Day with your colleagues or make a donation to the Every Kid Campaign. Whatever you choose, you can feel good knowing you’re making a difference for families in your community.